As we all know sunscreen is super important, especially in the summer time when temperatures really get up there. 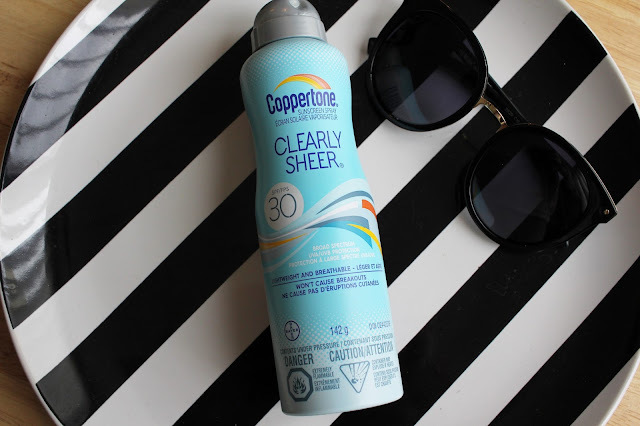 I have Coppertone Sunscreen Spray in Clearly Sheer to share with you today! My very first impression was "Wow, it actually does what it says! ", as soon as you spray it you instantly smell a really light and refreshing almost tropical breeze scent (but not strong enough to cause any allergies to my sensitive nose). It leaves a light feeling mist all over and once its settled it leaves your skin feeling baby soft and perfectly matte! It has an SPF of 30 broad spectrum, it's also lightweight and breathable so that means your skin won't get irritated and it won't cause breakouts! With this sunscreen you only need to wait 15 minutes before exposing yourself to the sun, so nothing too crazy. It's also waterproof for up to 80 minutes so that's really nice. 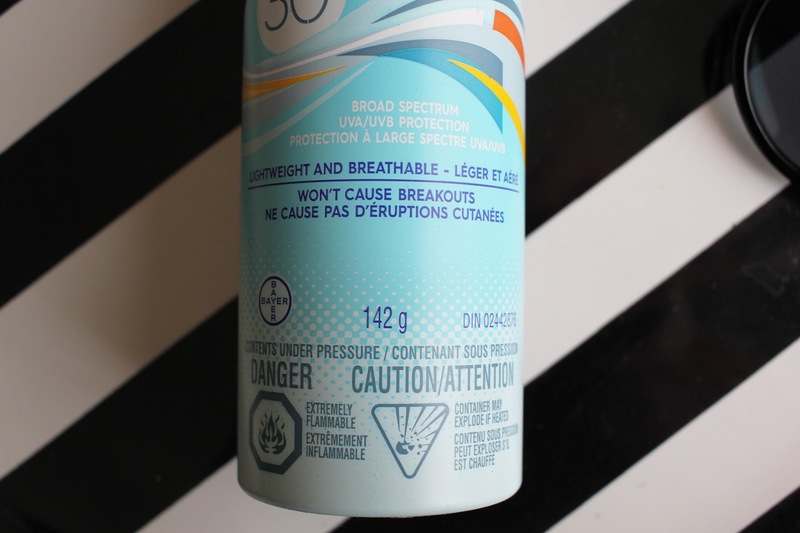 Personally, I love this sunscreen because it is a spray sunscreen, opposed to a lotion. I love the ease of just spraying and quickly rubbing it in rather than having to really rub it in and make sure it's getting soaked up. It has a fresh scent and it moisturizes as well. This sunscreen leaves you looking matte which is a wonderful change from the sometimes overly awkward shine you get from other sunscreens! 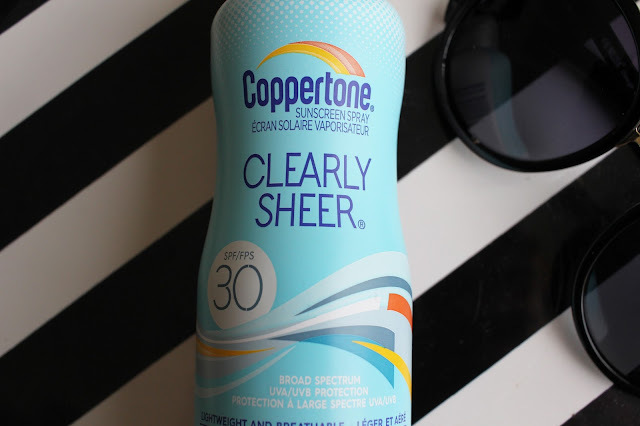 Are you interested in trying out this Coppertone Spray Sunscreen?